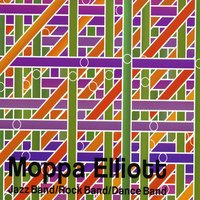 I was born on September 13, 1978, the first son of David and Carolyn Elliott in Scranton, Pa. Incidentally, they named me Matthew Thomas Elliott, not Moppa. My parents are both college instructors and intense music lovers, so I was able to hear a lot of music growing up. After a brief introduction to the piano, I started to play the trombone in the sixth grade, and after deciding a few years later that I wanted to also play an instrument with strings, I was given an electric bass. When I was about 17, I fixed up my father’s old acoustic bass in order to audition for a summer program. I then began to study the bass seriously with Pocono resident Tony Marino. In the fall of 1997, I enrolled in both Oberlin College and the Oberlin Conservatory of Music majoring in biology and Jazz bass performance in Oberlin’s double-degree program. While there I was able to record my first CD, Pinpoint and to gain some experience playing in Cleveland OH for about 3 years. I was also fortunate enough to teach at the Pennsylvania Governor’s School for the Arts for four summers. I finished school in the winter of 2001, and moved to New York City the following summer. Here in New York, I have been able to play and record with some great musicians and to continue teaching at St. Mary’s High School. 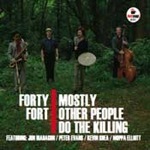 My group, Mostly Other People Do the Killing, has just released its third album, This Is Our Moosic on Hot Cup Records. I teach music history, theory, and chorus at St. Mary's High School. I also teach bass at the Long Island Conservatory and privately. All About Jazz musician pages are maintained by musicians, publicists and trusted members like you. Interested? 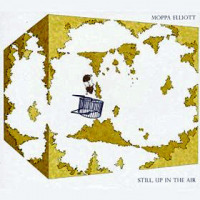 Tell us why you would like to improve the Moppa Elliott musician page.